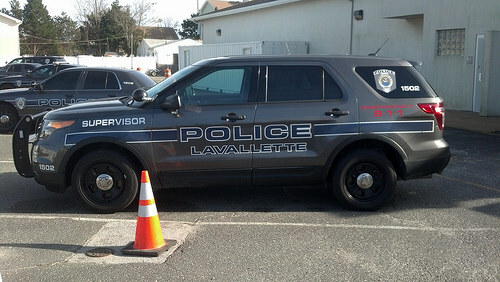 Lavallette officials may consider reviewing a decision made last year that reduced the minimum number of police cars on the road during winter nights to one unit. 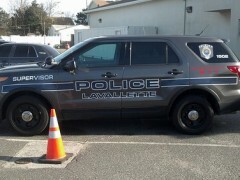 On a regular night, three cars are assigned to patrol the borough. Though rare, Mayor Walter LaCicero said the single-car nights during the winter, when the department is not augmented with seasonal special officers, occasionally occur when officers call out sick or are on vacation. Previously, the borough mandated two cars be on patrol, but reduced the minimum to one to reduce the amount taxpayers were spending on police overtime. “We just took on another police officer bringing us back to 13 [officers], and that’s the number that’s capable of doing the two-car minimum,” said LaCicero. The discussion of police coverage came after a resident asked the borough council at its meeting Tuesday to shift the attention of police officers from Route 35 to borough streets. The resident said two bicycles were stolen on his block over the past week and one resident had their American flag stolen off a flag pole. Councilwoman Joanne Filippone said she would take the matter up with police officials, but the question of minimum coverage will be discussed at a future council meeting. LaCicero said increasing the minimum is a worthy discussion since residents whose homes were destroyed in Superstorm Sandy are steadily returning to Lavallette, potentially bringing the borough back to its 2,300 resident level.